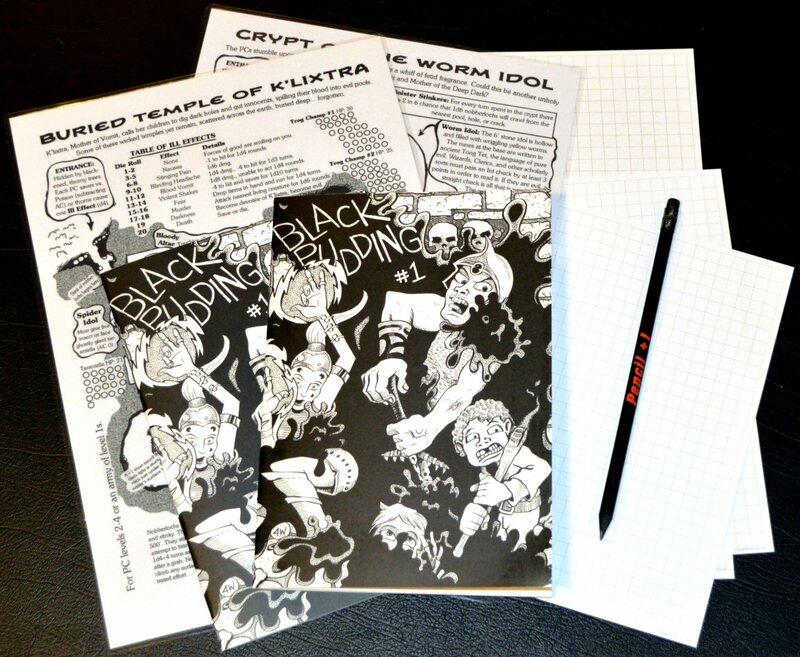 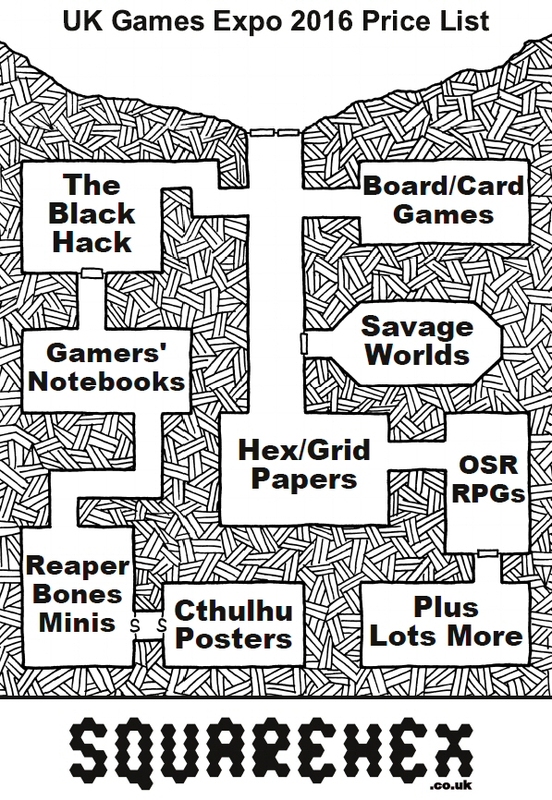 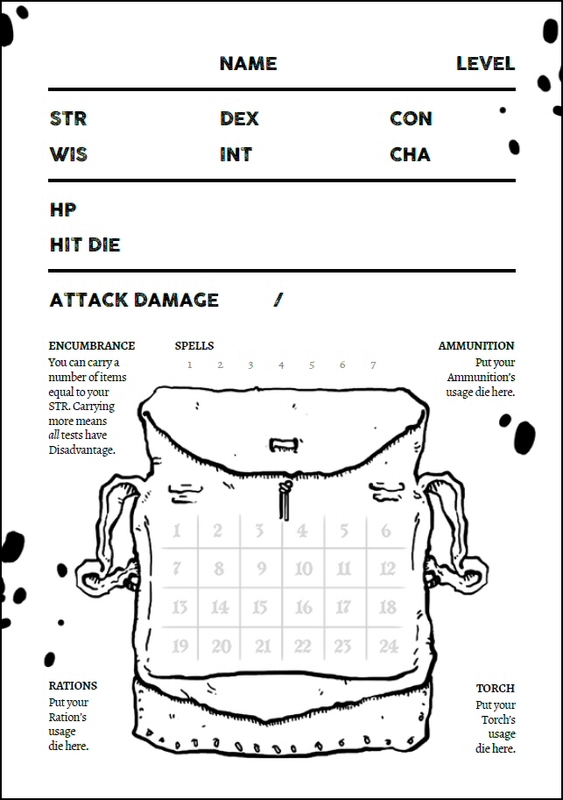 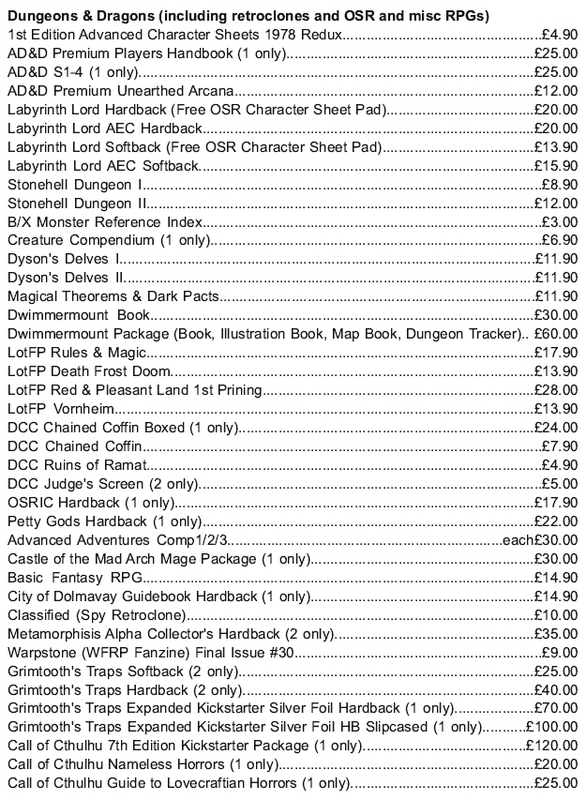 The Black Hack is a streamlined OSR RPG by David Black that is currently live on Kickstarter. 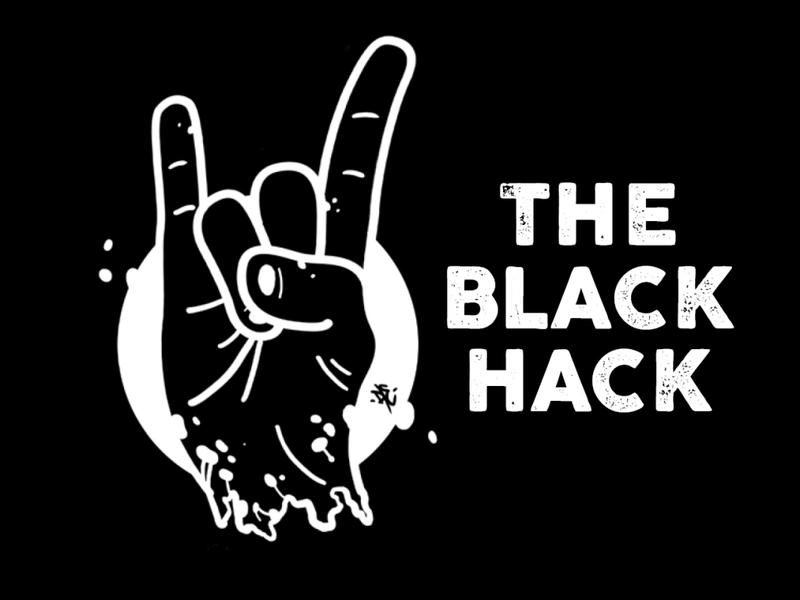 I was going to write a series of blog posts this week to show some of the mechanics of The Black Hack. 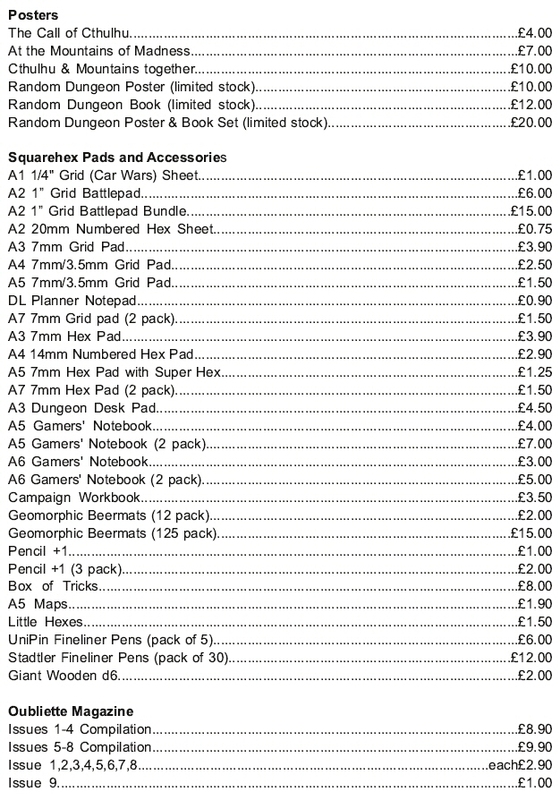 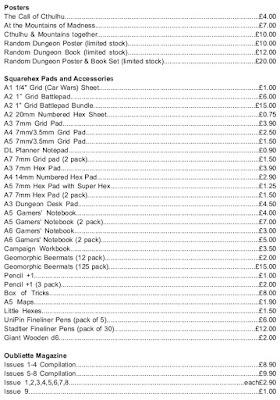 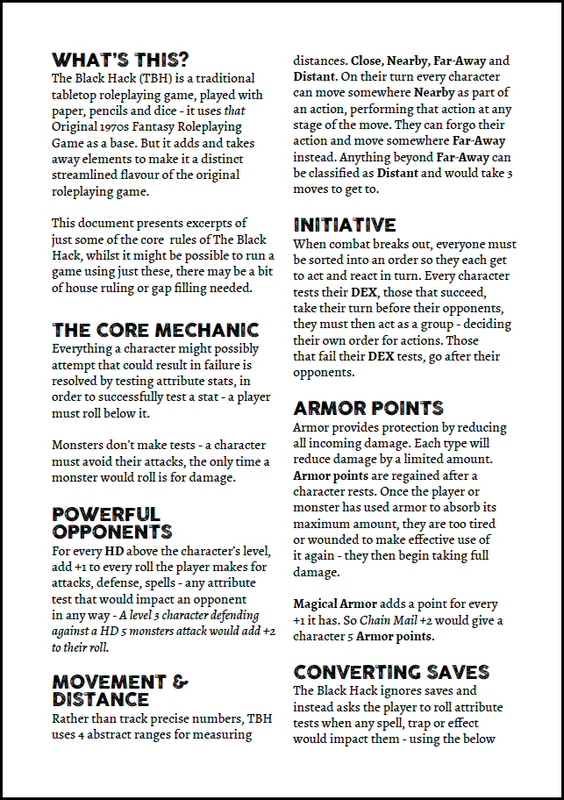 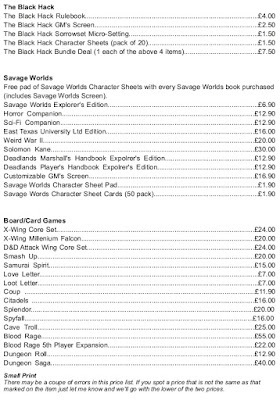 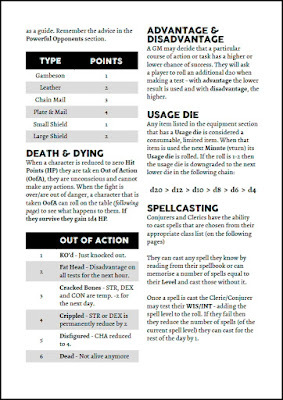 However, David has put together a couple of preview pages that collate some key rules and give a much better idea of how the system works. 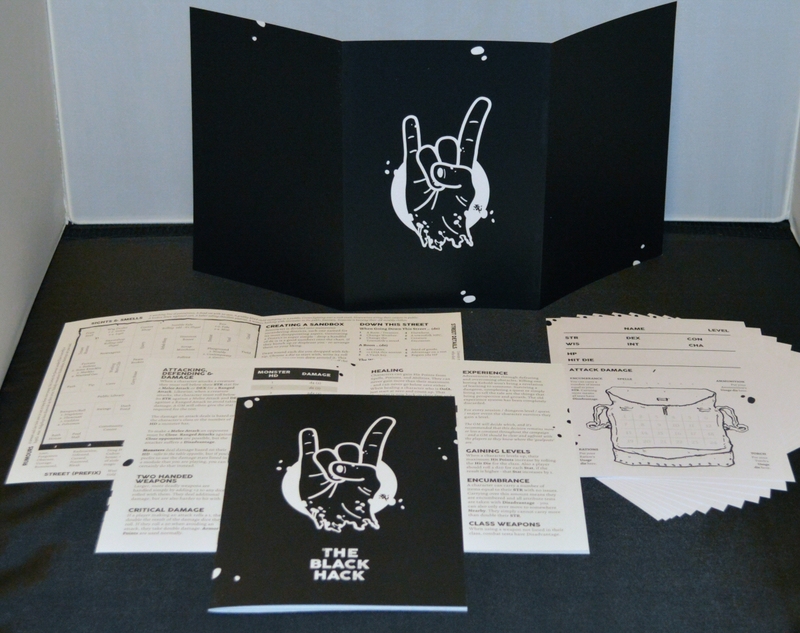 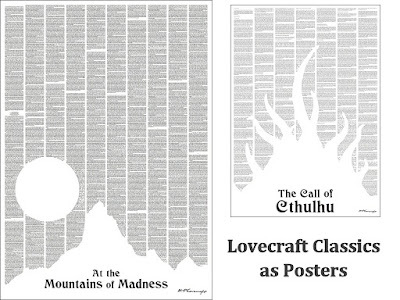 They also serve as a preview of how the rule book interior is laid out. 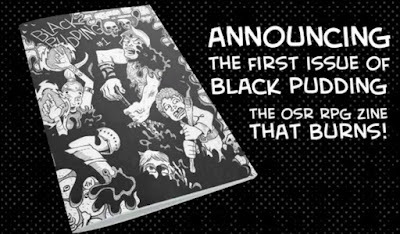 Yesterday I launched a new Kickstarter campaign. 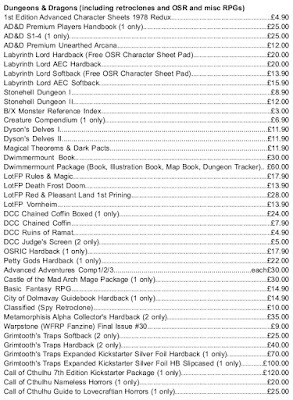 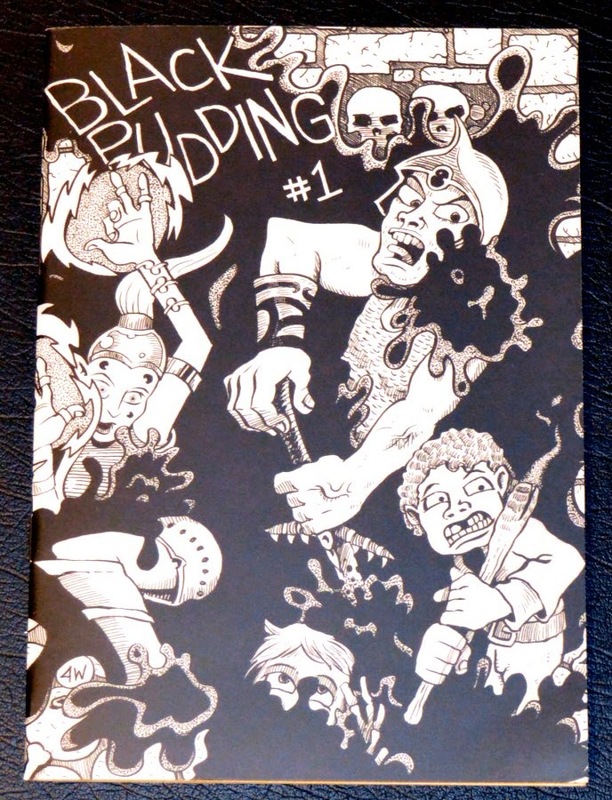 It is for an OSR RPG called The Black Hack written by David Black. 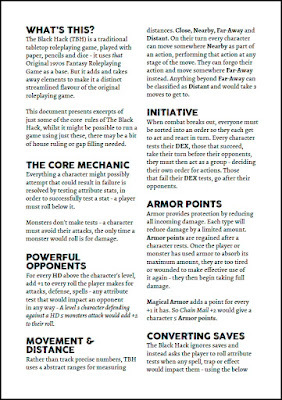 It is not to be confused with my own B/X Retroclone RPG FOSSIL which is still in development, but nevertheless I'm sure it will still be of interest to many of you. 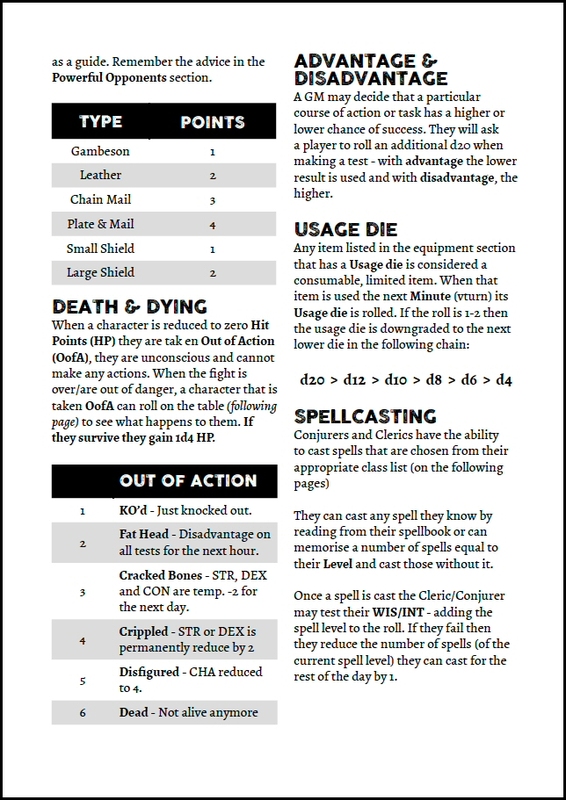 Over the next few weeks while the campaign is running I will be writing a series of blog posts that look at some of the mechanics used in the system. 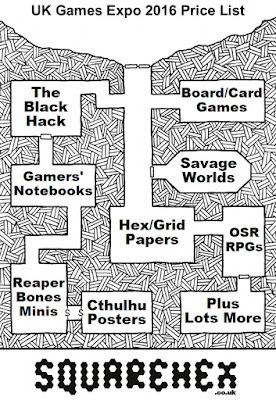 There is also plenty of discussion on Google+ where the game's creator David Black is always happy to answer questions about his game.